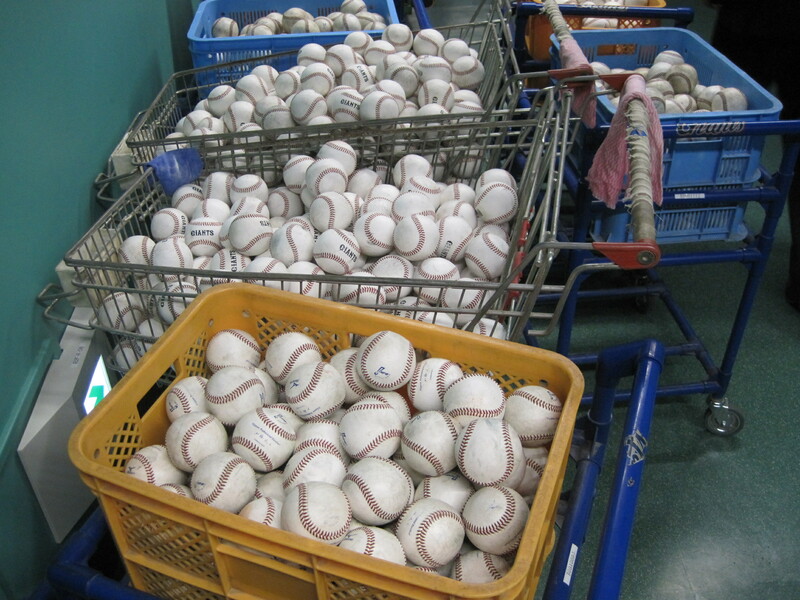 You need more than a few baseballs to run batting practice on two cages at the same time. Attendance for the Tigers-A’s exhibition was relatively sparse, likely because first pitch was at 12:05 on a Monday and Ichiro wasn’t involved. The upper deck and right-field bleachers were almost entirely empty, and even the die-hard section in left was only about half full. 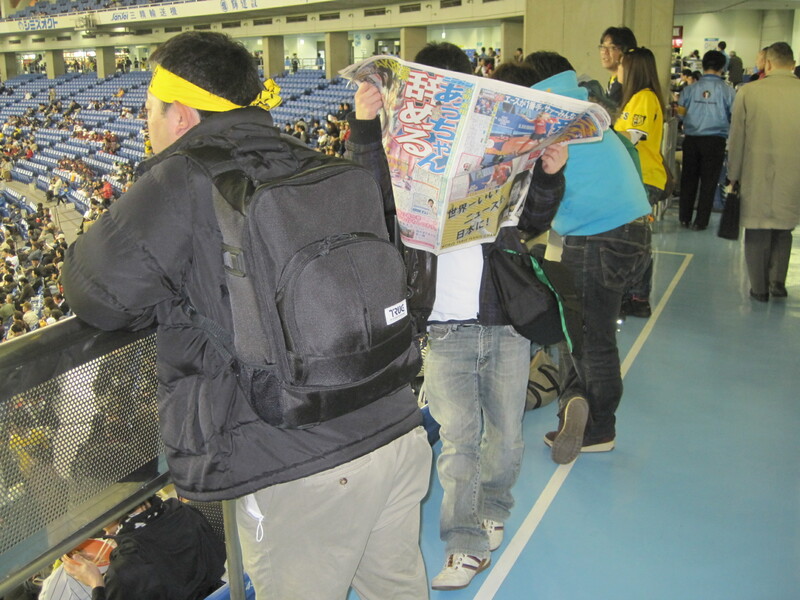 The announced crowd of 10,681 (the Tokyo Dome holds 42,000) sounds pretty accurate. That said, one bass drum in a domed stadium can make up for thousands of empty seats. 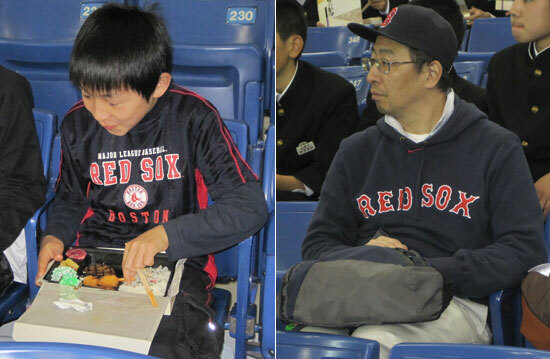 Many of the fans in attendance were elementary school kids, with several youth baseball teams sitting together in full uniform. 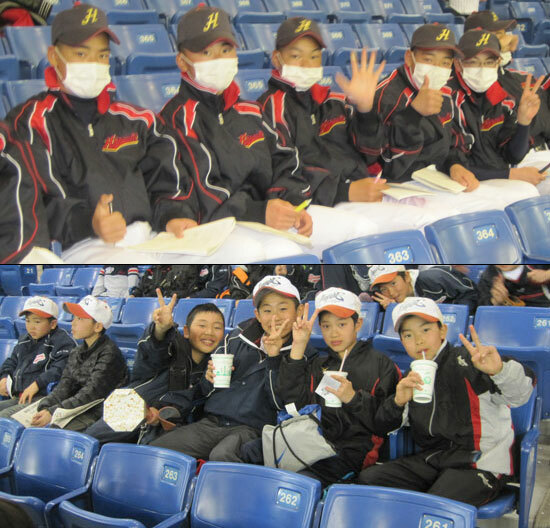 One section near the foul pole in right field was mostly filled with a school group, also in full uniform. This gentleman told me he did in fact attend Lamar Community College in Colorado at the same time as Brandon McCarthy. Despite having many friends who played baseball, he never met the A’s starter and this was his first time seeing a Major League team in person. And yes, he also said he follows McCarthy on Twitter. 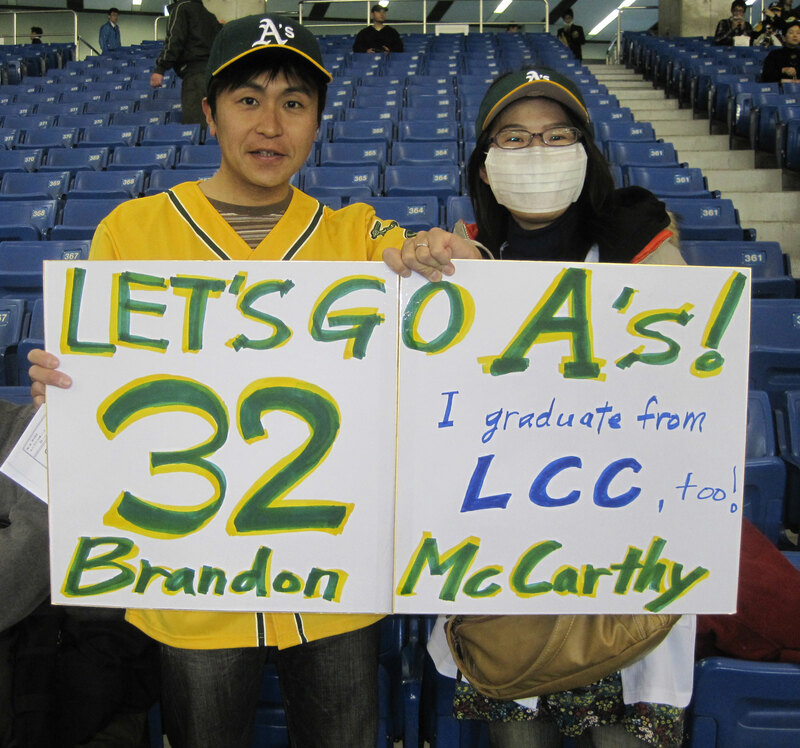 Not many fans showed up for Oakland-Hanshin today, but every one who did brought a homemade sign honoring an A's player. 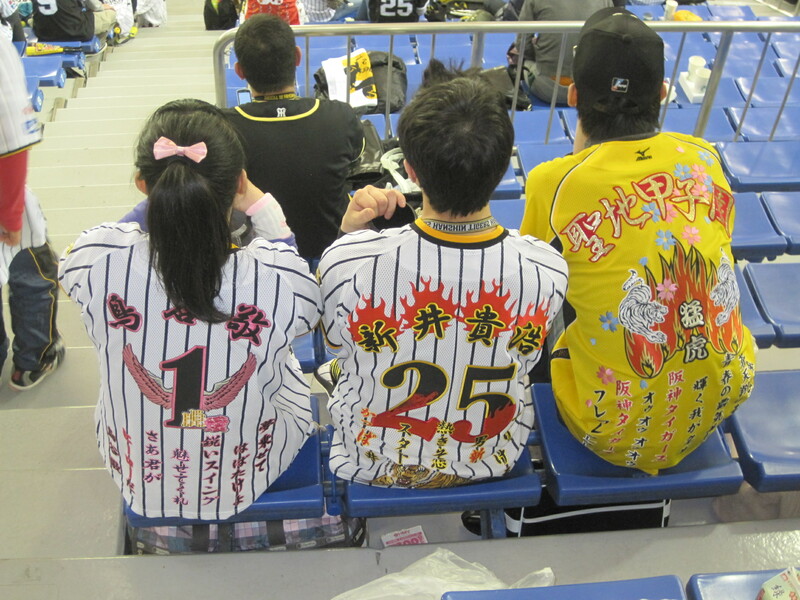 Attention MLB clubs: If you put wings, a tiger and flaming Japanese characters on your replica jerseys, I will buy all of said jerseys. 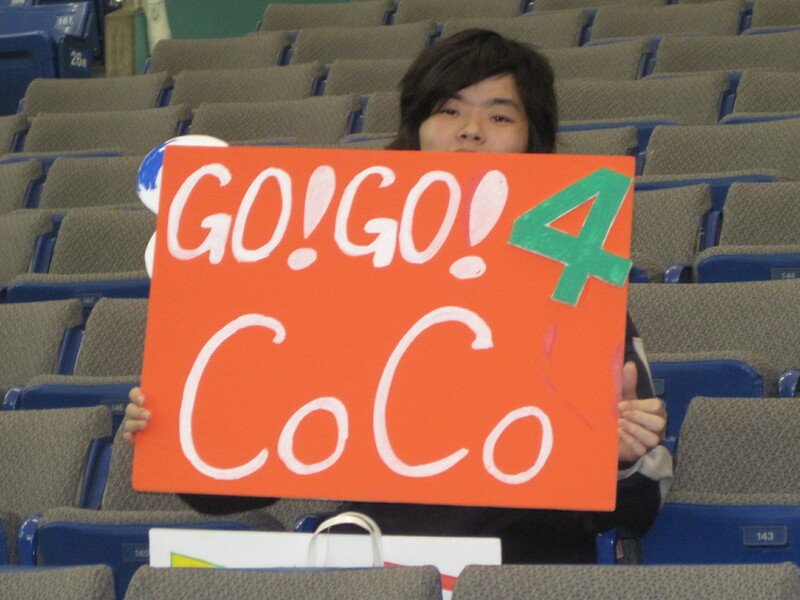 I like the thought process: You’re already proving your fandom by showing up to the game. If you don’t want to wear a lame team polo shirt, don’t feel obligated. 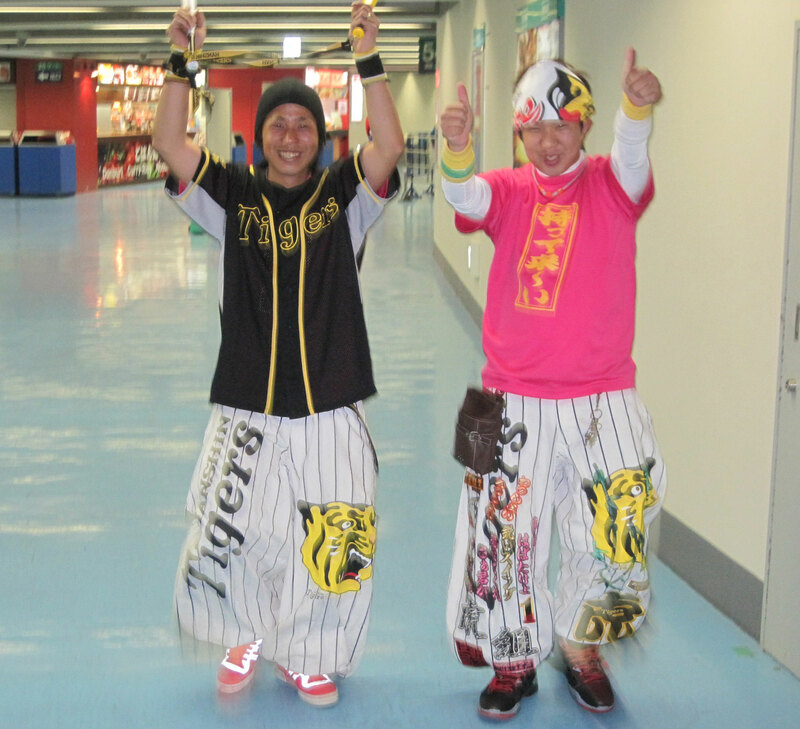 But if you’re going to rep the squad, go all out. Highlighter tones encouraged.